Xpress Money, one of most dependable money transfer brands in the world, felicitated its agent partners in Kuwait for their collaborative efforts for the organization’s continued growth at the Conclave 2017-2018, the annual rewards & recognition program for partners. Organized for the 4th consecutive year, Xpress Money Conclave is a grand event where the senior management and representative from Xpress Money and the agent partners come together to celebrate their success achieved during the year. “Our agent partners are one of the most significant drivers of growth for Xpress Money. They are truly the face of our brand to our customers in Kuwait. The Xpress Money Conclave gives us a platform to appreciate their efforts and contributions in helping Xpress Money shape its journey and strengthen its brand value. Our esteemed partners in Kuwait continue to support us through all our endeavours, be it, business development or enhanced customer experience. 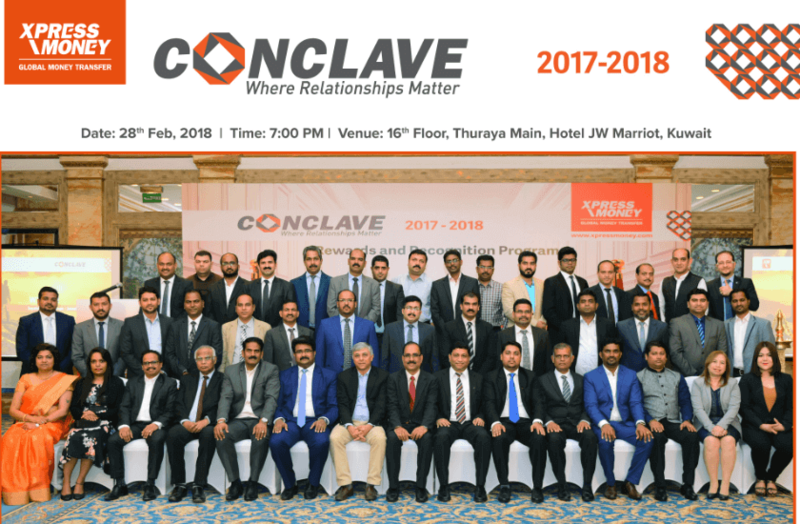 At Conclave 2017-2018, we thanked each and every one of our partners for their support and their faith in our brand. We are sure that in 2018 and years to follow, together with our partners, we will stay strong and grow in Kuwait and other markets around the world”, said Arvind Mylar, Vice President – Business Development (MEASA & CIS), Xpress Money. Xpress Money provides remittance services from Kuwait to over 200,000 locations in over 165 countries around the world. The brand has partnered with some of the most trusted exchange houses/ financial institutions in Kuwait and provides remittance services including Cash to Cash, Account Credit and Mobile Wallet Credits.